(CBS/WTSP/AP) TAMPA, Fla. - Tampa teen Jared Cano, who had been expelled from school, was no stranger to law enforcement. The 17-year-old had several run-ins with the law although none of the charges from burglary to drug possession were ever pressed. When police, who periodically checked on the teen because of his troubled past, were tipped off that Cano was plotting to bomb the school that had kicked him out a year earlier they thought the information was plausible. So, they knocked on his apartment door and his mother let them search the place. They found Cano had amassed shrapnel, plastic tubing, along with timing and fuse devices to make pipe bombs. All of material was to be used in an attack intended to cause more casualties than the Columbine High School massacre where 13 were killed before the two student attackers killed themselves, police said Wednesday. Police and the school system "were probably able to thwart a potentially catastrophic event, the likes of which the city of Tampa has not seen, and hopefully never will," Police Chief Jane Castor said. Prior to Tuesday's discovery, Cano had been arrested several times. He was most recently accused of breaking into a house and stealing a handgun, Tampa police said. He had a court-ordered curfew and was on a police watch list. His juvenile arrests included burglary, carrying a concealed weapon, altering serial numbers on a firearm and drug possession. They all had been either dismissed or no action had been taken, beyond putting his name on the watch list. Besides the bomb-making materials, officers also found a journal with schematic drawings of rooms inside Freedom High School and statements about Cano's intent to kill specific administrators and any students who happened to be nearby on Aug. 23. The plan was mapped out, minute-by-minute, Castor said. He also had a marijuana-growing operation, police said. On his Facebook page, he says he attends the "University of Marijuana," where he is studying "how to grow weed." Cano was arrested Tuesday night and faces charges of possessing bomb-making materials, cultivating marijuana, possession of drug paraphernalia, possessing marijuana and threatening to throw, project, place or discharge a destructive device. 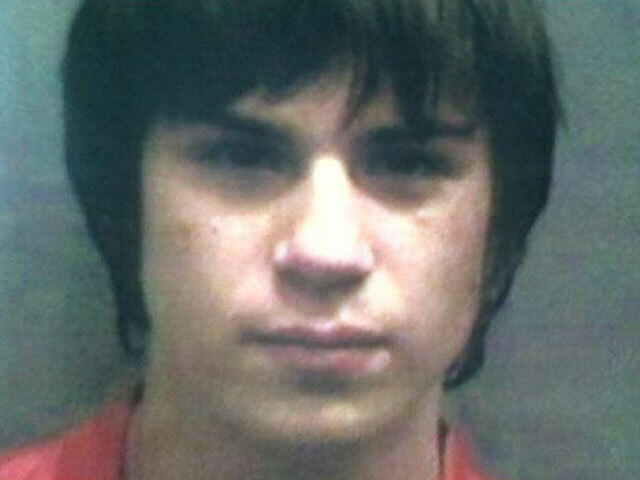 He is being held in a juvenile lockup in Tampa. The state attorney's office will decide whether he will be charged as an adult. Meanwhile, school officials say they've sent out emails to parents, letting them know about what's happened and promise to have extra security on hand next Tuesday when school opens, reports CBS affiliate WTSP.